Christmas is a great time to be in love – you have someone to snuggle up with on cold winter days, someone to chuck snowballs at, and a guaranteed extra present under the tree. And if you’ve found that person you want to kiss under the mistletoe, then you might be considering asking them to spend the Holiday with you and your family. But how do you know if inviting your other half to spend Christmas with your family is a good move or not? And how do you pull it off? If you’re not yet official, or haven’t been dating for all that long, it might be a case of too much, too soon for your partner. Remember that your partner will be thrown into an event that will probably involve all of your family, and might be seen as a sort of initiation into your brood – so make sure you’re both ready for that level of commitment. Would you feel ready if you were going to their family Christmas? Have they met your family? If your Christmas not only involves your immediate family, but your grandparents, aunts, uncles, cousins, and everyone else in between, then you may want to calm matters down by having your partner meet your mum, dad and siblings first, and you meet their family too. Having a quiet gathering beforehand allows you to test the waters with whether they would both be happy spending the Holiday together. It also means your partner will have some friendly faces in a room of strangers, and it can be less intimidating than meeting everyone at once! If you feel like the time is right, you have been together long enough and your parents love them, then gently introduce the idea of spending time with your family over the holiday season. Be receptive to their side – they’ll probably want to spend some time with their family, and there may also be an issue of money if they have to fly between college, their parents and yours. Remember that although you as a couple may think it’s a good idea, there’s also the chance of extraneous situations guiding your decisions, for example, a very elderly or sick relative that they may feel obligated to spend the festive season with. If they’re not completely comfortable with the notion of spending their whole Christmas with your family, then there are other options that can please both of you, and make sure you’re even stronger on your return to college. Everyone’s Christmases are family time, so why not suggest splitting Christmas between your two homes? Spending four nights at their home and then four nights at yours can be a great compromise and a really sweet gesture, rather than seeming pushy in any way. It also makes sure their parents and family doesn’t feel like they’re being left out! Remember that if you haven’t seen your family since Thanksgiving or even summer, then they probably haven’t either. 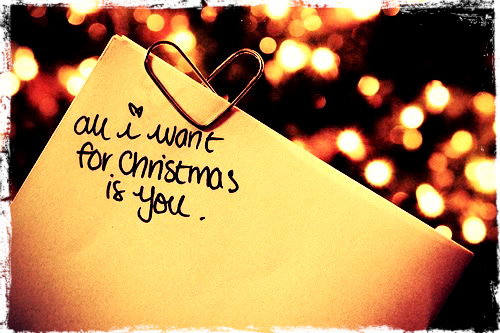 Have you asked your loved one to spend Christmas with you? Louise Blake has jumped through all the essential academic loopholes, and now she wants to impart what she’s learnt to those who could benefit. She blogs about school reward techniques for Classroom Carrots and spent Christmas with her college sweetheart after just a few months together.